Alongside this blog post I have some CRAZY news. I've been SHORTLISTED for TWO COMPANY MAGAZINE BLOGGER AWARDS! EEK! Please vote for me in the 'Best Personal Style Blog' and 'Best Use of Photography' It would mean the world (No sign up required) You can vote here. I completely understand that it is thanks to each of you that this has happened to me and I'm so bloomin' grateful. I may have even shed a few tears when I found out! 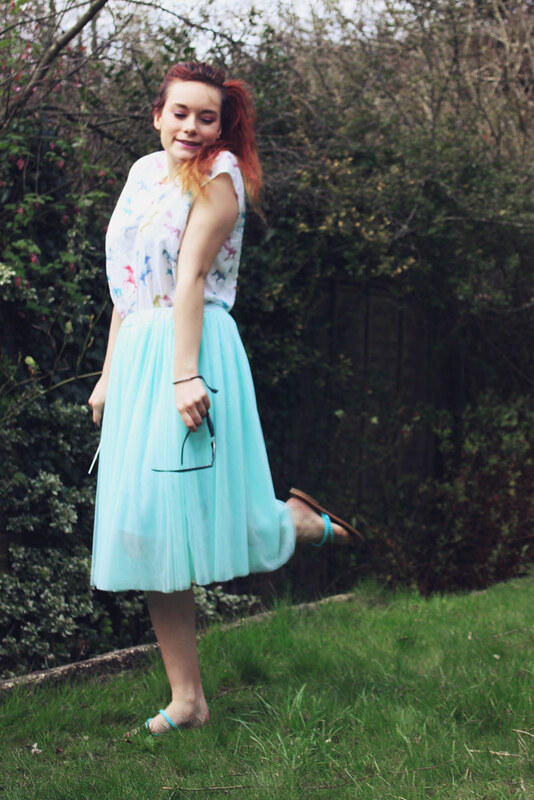 This was my Sunday, sunny day outfit. I spent the day filming in the sun, telling everyone I knew about the blogger awards (proud blog parent, me!) and soaking up the rays. This outfit was super light weight and comfortable yet also really Spring/Summeresque. 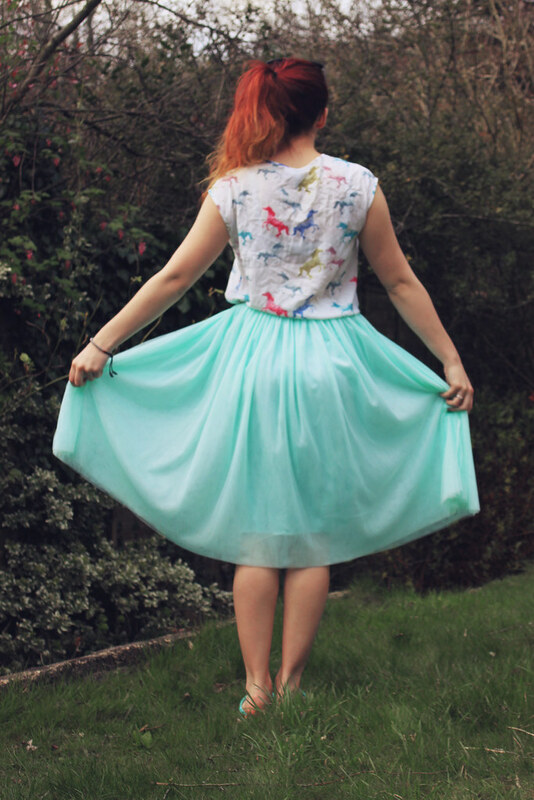 Just look at the mint skirt!